In a note sent out to Apple employees on Monday, CEO Tim Cook revealed a bit more about the upcoming Apple Watch launch slated for April 24, offering workers deep discounts on Apple Watch and Apple Watch sport models. The letter sent via email conveys building anticipation for Apple Watch, helped along by keynotes and Apple's Guided Tours videos, and notifies employees that they can purchase an Apple Watch or Apple Watch Sport at a 50 percent discount, or nab $500 off a solid gold version. Cook also mentions that more than 1,000 Apple Watch apps were submitted over a period of four days last week. A copy of the email was obtained by MacRumors earlier today. "I know that many of you have been looking forward to choosing an Apple Watch for yourselves, and we want to make it easy for you," Cook writes. "Starting Friday, in countries where the watch is available for pre-order, a special Employee Purchase Plan will offer a 50% discount on any Apple Watch or Apple Watch Sport for your personal use." Employee discounts go live on April 10, the first day of preorders, and last for 90 days after availability. Cook adds that the deal applies to employees in all launch locations and will become accessible to those in other countries as the rollout broadens. Finally, Cook congratulates everyone who worked to create Apple Watch and offers thanks to Apple Store workers who will handle customer try-ons this Friday. 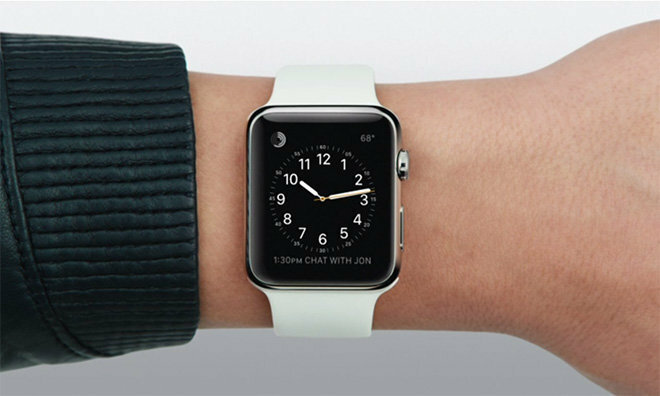 Apple Watch preorders start on Friday, with units expected to reach buyers' hands two weeks later. In a recent update to its Online Apple Store webpage, Apple announced April 10 preorders are eligible for launch day pickup at brick-and-mortar stores.